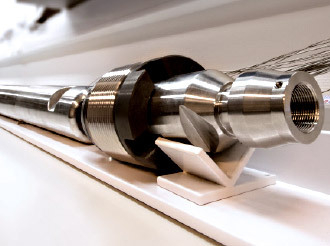 Thor Energy develops nuclear energy technology based on thorium. We believe that thorium-based fuels will be an attractive option, both for light water reactor (LWR) operators and nuclear energy policy makers. Thor Energy is developing a nuclear fuel technology based on thorium as an alternative to uranium. We have developed an advanced thorium based oxide fuel, and we have established a consortium that finances and ensures the implementation of a five year irradiation project. 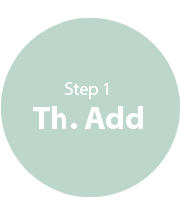 The objective here is to qualify thorium fuel for use in existing and future generations of light water reactors. Thor Energy’s largest shareholder is Thor Corporation. This holding company also owns stakes in another company related to thorium fuels, Fen Minerals which has extensive muting rights in the Fen complex which contains large deposits of thorium and rare earth elements. Thor Energy also has a “sister company”, REEtec AS, which is in the process of commercializing a new method for efficient separation of REE. Achieving more sustainable energy generation in which mined nuclear material is used more effectively. This draws on the possibility for high conversion and eventually breeding of fissile 233U from thorium fuels. Employing fuels that generate less problematic waste streams, and that can also transmute (destroy) actinide components in current-generation thermal reactor systems. Is Thorium in Nuclear Energy’s Future? Thor Energy has undertaken a number of studies aiming to compare thorium-plutonium oxide fuel (Thorium-MOX) with other fuel types, uranium- and thorium-based. 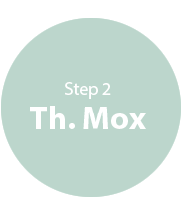 Thorium-MOX proved to be a viable and in many respects advantageous option. To further characterize these advantages, fuel design work is underway. The main prerequisites for this work are that normal, cylindrical oxide fuel pellets are used, supporting our view that this fuel should be deployable in operating LWRs with a comparatively small licensing effort. Maximizing the utilization – and hence the incineration – of plutonium. This is done by operating the fuel in a core environment with high neutron-moderation (a high hydrogen-to-heavy-metal ratio). 436 reactors (375 000 MWe in total) are in operation world wide. 90 % of these are light water reactors. Most new-builds are Light Water Reactors – these can use Th.Add and Th.Mox. 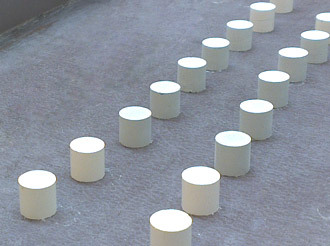 In preparation for the manufacture of Th-MOX pellets, these (Th,Ce)O2 pellets were manufactured at IFE’s labs at Kjeller outside Oslo. The openings through the test rig top plug enables on-line transmission of data from many sensors located inside the irradiation rig. The fuel test irradiation rig is assembled from over a thousand parts at IFE’s workshop in Halden. Many of the parts are unique to this specific rig and are manufactured on site in Halden with extremely high precision. 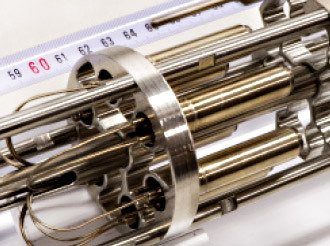 Several instruments are located inside the fuel rods or are directly connected with the rod interior, measuring e.g. fuel temperatures and rod pressures. The test reactor in Halden is located in a large cavern inside a mountain. It has been in operation since 1959 and has performed almost 800 test irradiations. 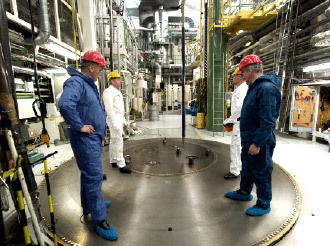 The fuel test rig was lowered into the reactor core on April 25, 2013. 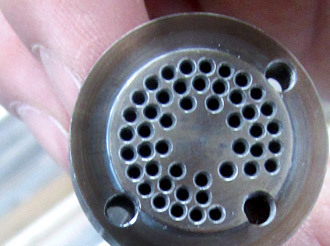 Through the hole in the 70 cm thick reactor lid one can see the hexagonal pattern of fuel assemblies where the thorium fuel test rig now resides. Thorium is not fissile – but fertile. In order to create a reactive thorium fuel capable of producing energy, some form of fresh or recycled fissile material is needed as a ‘driver component’. As the fuel operates, thorium is transmuted to uranium-233 which is an excellent fissile material that then yields energy in the fuel. Reactor grade plutonium is a very good fissile driver since it is available from today’s spent nuclear fuel inventories. Thorium will absorb neutrons in a thermal reactor and its reactivity will increase as its 233U content grows. It is possible to achieve net ‘breeding’ of 233U in thorium fuels in faster-spectrum variants of light water reactors (LWRs) and in heavy water reactors. Ceramic thorium oxide (ThO2) has excellent material properties for serving as a nuclear fuel. ThO2 has a higher thermal conductivity and a higher melting point than uranium oxide and it is better able to retain fission products within its crystal lattice. Thorium oxide fuels can therefore operate with lower internal pellet temperatures and exhibit less fission gas release than uranium fuels (including MOX). This implies that thorium oxide fuels should be able to operate safely to high burn-ups. It is possible to design viable thorium-plutonium fuels for LWRs balancing intersecting issues of fuel reactivity, safety margins and reactor operability. To this end, the design and licensing of uranium-plutonium (MOX) fuels has “paved the way” for thorium-plutonium fuels since it is only the added plutonium component that makes MOX fuels different from simple enriched uranium fuels. Thorium itself generates essentially no plutonium, and no minor actinides as it burns – unlike uranium fuel. Thus, a thorium-plutonium fuel will achieve much greater net plutonium consumption than a regular MOX fuel (which makes new plutonium as it burns). 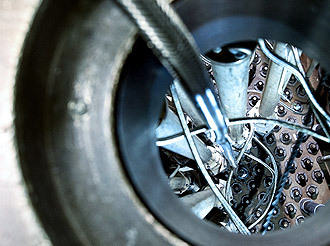 Thorium-plutonium fuel can be designed with a priority to maximise plutonium consumption – by maximizing the extent to which neutrons are moderated in the reactor. Ceramic thorium oxide has excellent properties as a waste-form in its own right even after irradiation. It is highly insoluble, it is non-oxidizable and it retains both fission products and actinides extremely well within its lattice. Thorium oxide would therefore serve as a good matrix for once-through fuel designed specifically to ‘burn’ plutonium. Thorium-plutonium fuels have good long-term radio-toxicity credentials. Modelling shows that the decay profiles for dose rates from thorium-plutonium spent fuels are essentially the same as those for uranium-based fuels, but there are fewer chemical pathways for thorium fuels to be dissolved – especially in oxidizing environments. Thorium fuel cycles are highly resistant to nuclear proliferative actions. Both open and closed thorium fueling options exhibit higher proliferation resistance than their corresponding uranium based cycles, as assessed by internationally recognized methodologies. Klara’s thesis was on necessary steps for a successful commercialization of thorium fuels as well as simulations of how various mixes of thorium fuel perform in the reactor. 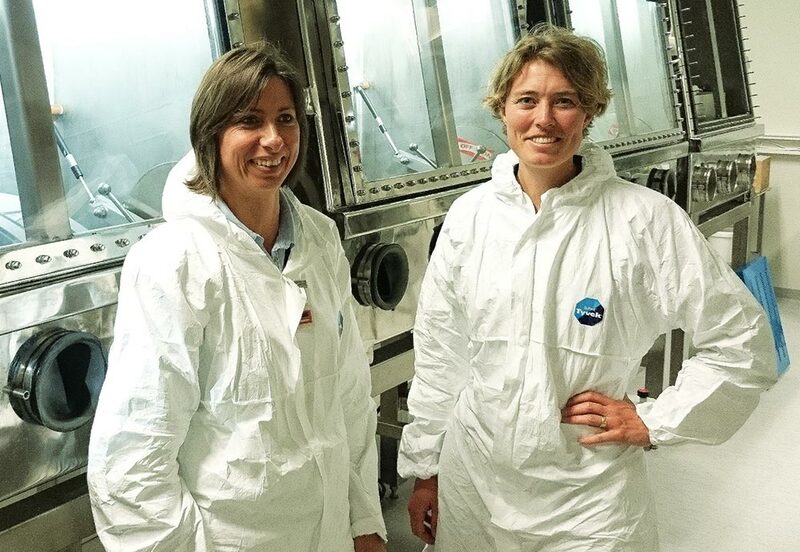 A vital part of her work – and also the most exiting – has been the ongoing Thor Energy irradiation campaign in the OECD Halden research reactor, now in its third year. – It is essential to monitor and verify how the neutrons and the fuel material in general behave in the reactor, Klara explains, – such data has never been collected before for these particular fuel types and is vital in order to qualify the fuel for commercial application as well as to calibrate and update our simulation software, she says. – So far, we have found no showstoppers for thorium to be used in light water reactors, but then we didn’t expect to in the first place. Now we should embark on the challenge to make a conservative industry think of thorium as a viable supplement and alternative to uranium, she says. Klara has been a Thor Energy employee since 2008 and has combined her professional career as VP Research and Development with her education and research activities. 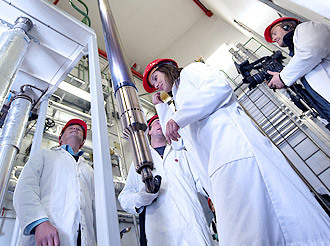 Her Master’s degree – one of the best in Sweden that year – was part of Thor Energy’s comprehensive thorium feasibility study completed in 2008. Klara’s colleagues say she is very dedicated and preoccupied with a sustainable lifestyle. In between her work and research activities, she has also become the mother of two. But how did she become interested in thorium in the first place? – My initial interest was in nuclear physics. I have always been interested in how things work and how they are built up, probably inspired by my father who is an engineer, Klara explains. – In high school I chose the natural science curriculum and got to be part of a group of genuine nerds. I developed an existential attitude towards physics, defining the meaning of life as to finding out how the world fundamentally works – the atomic nucleus part of it. Moving on to the university, the natural thing for me was to study physics, she says. Later she developed the interest for new applications of nuclear physics, energy systems and more efficient resource utilization. Through a guest speaker at the university, she became aware of Thor Energy’s planned thorium feasibility study and the opportunity to do the work as part of her master’s degree studies. She got in touch with CEO Øystein Asphjell and her employment was a reality. And now you have completed your thorium studies? – I might have completed the first stage, but this is ongoing research and every answer we find, normally spurs a series of new questions to be answered, she says. – It’s like laying the pieces in a gigantic puzzle. So there is enough to be found out about thorium to occupy me for the rest of my career, Klara concludes.